The Hubble telescope has spied a giant celestial 'eye', known as planetary nebula NGC 6751. The Hubble Heritage Project is releasing this picture to commemorate the Hubble telescope's tenth anniversary. Glowing in the constellation Aquila, the nebula is a cloud of gas ejected several thousand years ago from the hot star visible in its center. Planetary nebulae have nothing to do with planets. They are shells of gas thrown off by Sun-like stars nearing the ends of their lives. 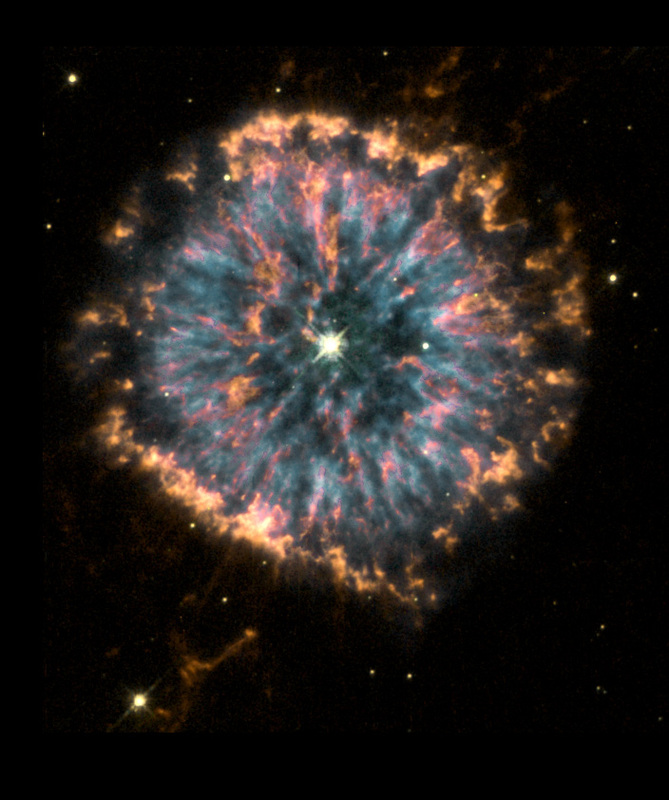 The star's loss of its outer gaseous layers exposes the hot stellar core, whose strong ultraviolet radiation then causes the ejected gas to fluoresce as the planetary nebula.